Imagine life as a farmer. Early to rise; livestock that needs constant care, attention and feeding; demanding physical labor. You get the picture. Then imagine what it would be like to add another full-time job to your already-full days. 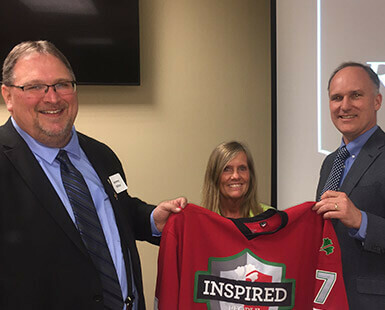 Bobbi Moneysmith and Joe Keegal, recipients of the Pride of the Jersey. Enter Joe Keegal, a forklift operator at the Knoxville (Iowa) Plant of Hormel Foods. Not only has Joe held down his second-shift job for 16 years, he’s been logging perfect attendance for the past few years. Not to mention an attitude, spirit and work ethic that earned him the Pride of the Jersey award recently. 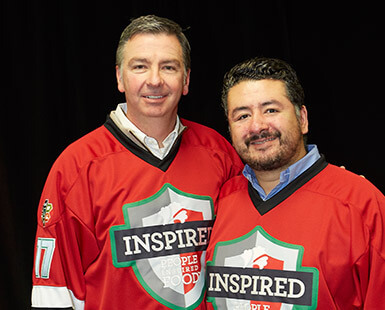 “Joe builds bridges with everyone he meets and keeps things flowing on second-shift pack,” says co-worker Bobbi Moneysmith, who was responsible for putting the hockey-style jersey in Joe’s hands March 9. As a previous winner, Bobbi had the honor of selecting the next recipient. Calling Joe out for a job well-done is a challenge. He is quiet by nature and shies away from the limelight. 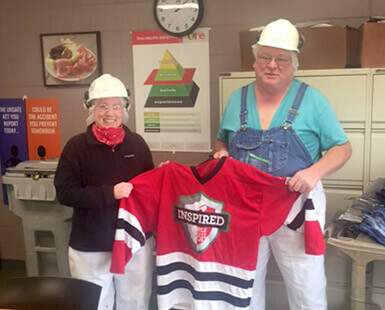 Bobbi worked with Plant Manager Pat Kranz to find the ideal way to give Joe his due. 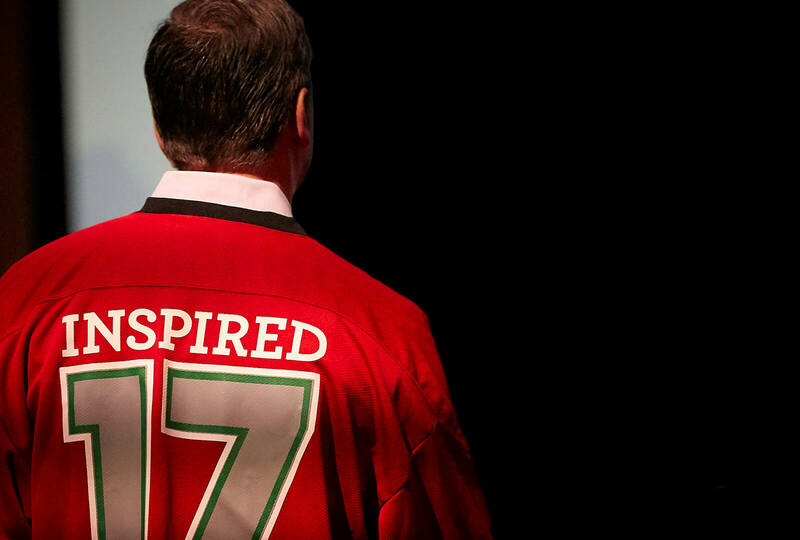 They managed to get him to a conference room so they could award him his jersey in private. But make no mistake. 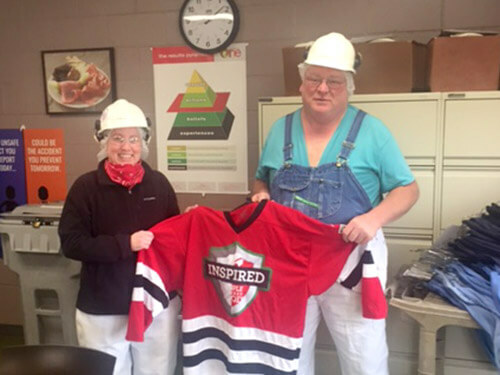 Joe was thrilled and surprised to receive the jersey that is slowly but surely making its way to the people who embody the Hormel Foods culture. He celebrated at home with his family. “He was excited about that,” Pat says. The farm that Joe owns and operates is south of Knoxville, 22 miles from the Hormel Foods plant. He has 78 head of beef cattle right now and also raises grain. Doing two jobs and doing them well doesn’t leave a lot of free time for Joe. When he finds a spare minute or two, he uses them wisely. “Mostly I just rest,” he says.